Muse Eatery & Bar – a Phoenix rising ? The transition is mainly due to the fact that the shareholding in Muse on Allen Limited was unlawfully obtained by Samuel North by simply accessing the the company register and transferring the shares to himself and again here the law is quite specific about this process but Samuel simply ignored the law and used a computer to unlawfully transfer the shares. Muse eatery is now trying to get a liquor licence for the new premises at 56 VICTORIA STREET. the web site has been linked to the new domain name museeatery.co.nz which opens to the url http://museonallen.co.nz/. The content of the web site is that of Muse on Allen and the content is the same Muse Eatery media. 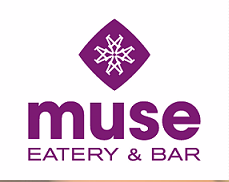 Concrete evidence that the new company catering Limited has adopted the name Muse eatery is in the application for liquor licence Alcohol Application – Muse Restaurant, Ground Floor, 56 Victoria Street, Wellington Central which a number of persons have opposed . so between the names Muse restaurant and Muse eatery the public are being asked to accept the new restaurant as a continuation of the old while Samuel North uses up the money from the sale to ensure that the person who put all his money in the restaurant is left totally out of pocket . we can only appeal to the public that if they believe in fairness and honesty then they should give Muse Restaurant, Muse eatery& bar or what ever it is called this week , a wide berth .